Our Sunshine Superstar of the week is a very special little girl – she is our flower and she just keeps blossoming! Ramadimetja Manthatha has just turned 6 and attends the bridging class at Elsburg Centre. Despite having Cerebral Palsy, this delightful little girl spreads sweetness and light with her sunny nature. 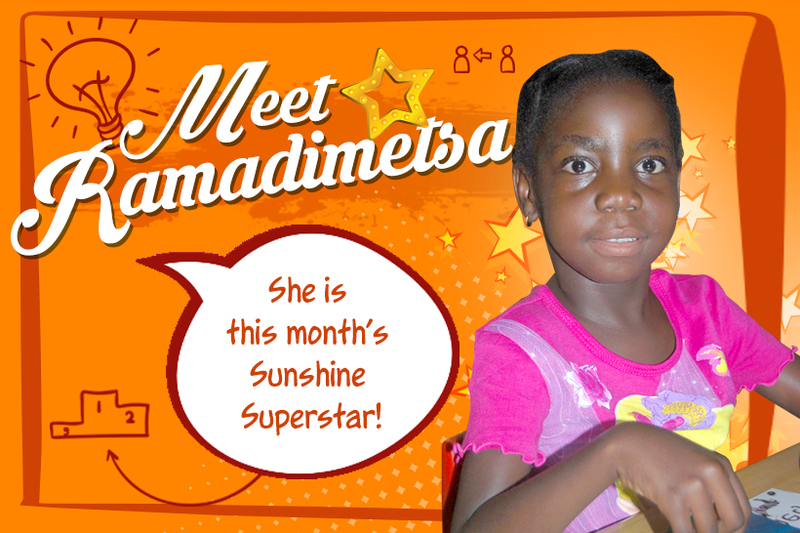 With the care and attention lavished on her by the dedicated Sunshine team, Ramadimetja has made steady progress. Although shy with adults she enjoys interacting with other children and eagerly participates in outdoor games, particularly if it is a ball game. Her co-ordination has improved so much that during constructive play sessions, she is able to use scissors to cut in a straight line, can assemble building blocks and complete foam board puzzles. Our incredible staff and children continue to inspire us every day. We welcome your calls and queries – let us help your child become a Sunshine Superstar.